Start your weekend out with art, music, coffee, and the company of other art lovers. We will have a gallery full of artists displaying their works while enjoying live music by theCentre for Musical Minds. Bring out the family for this fun event Friday evening. We kick off at 7pm, but swing by to get a sneak peak as early as 5pm. 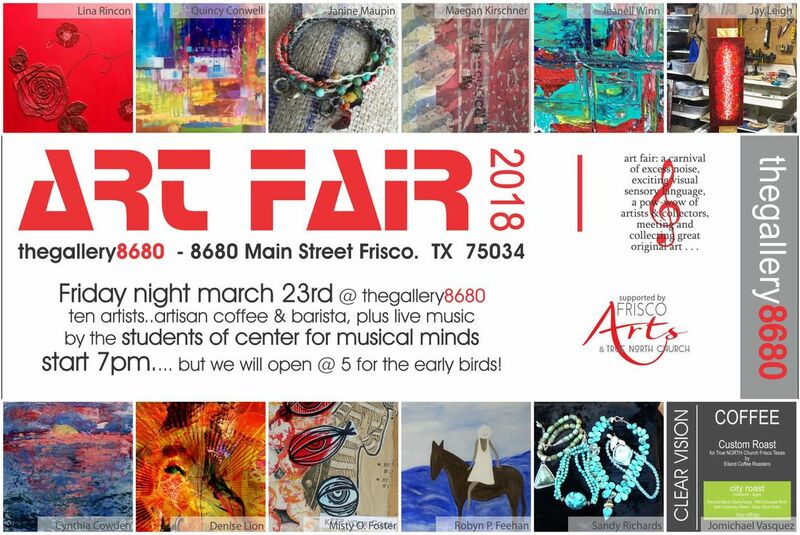 Featured Artists: Linda Rincon, Quincy Conwell, Janine Maupin, Maegan Kirschner, Jeanell Winn, Jay Leigh, Cynthia Cowden, Denise Lion, Misty Oliver-Foster, Robyn P. Feehan, Sandy Richards and artisinal coffee by Jomichael Vasquez.